State law requires all existing fire pumps to be tested annually. Your insurance company will also want to see you keep your pump and equipment in good condition. 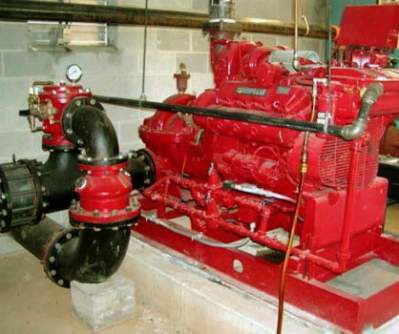 Our firm specializes in the complete inspection, testing and repair of all components of your fire pump system - preventive maintenance - whether driven by electrical or UL/FM diesel engines. In addition to the standard testing, we also highly recommend performing oil and filter changes, packing changes and cleaning drain lines on all components to maximize a system's service life and reliability as well as achieving your goals of protecting life and property. The fire pump is the most critical component of a fire sprinkler system. Properly maintaining the pump is necessary to ensure it performs when needed. Many fire pumps are diesel engine driven. 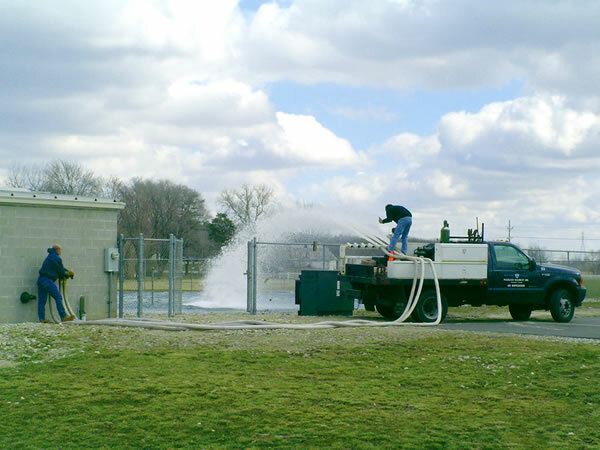 Our fire protection foremen are experienced with all types of UL/FM Diesel Engines. 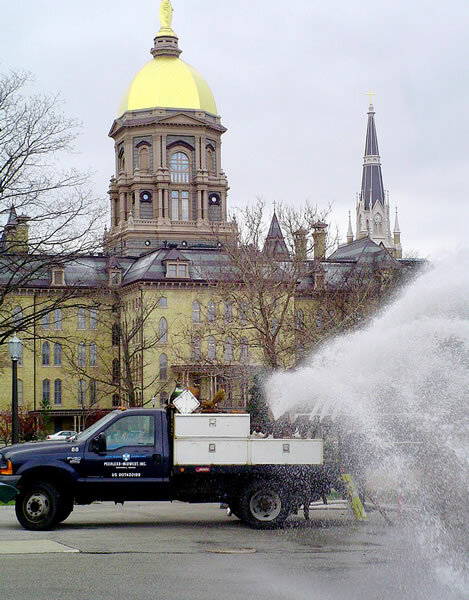 It only makes sense to hire one knowledgeable contractor who can handle the required annual maintenance of the engine, pump, controllers and water supply in one trip. Keeping your engine in good running order is equally as important as keeping the pump in good shape! 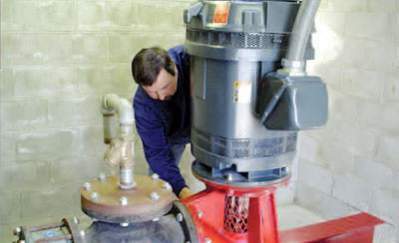 Maintaining the electric driver of your pump is critical to its performance. Annual oil changes, greasing of bearings and electrical inspections should be performed at a minimum. Peerless Midwest, Inc. offers a complete line of electric motor services to solve any motor problem. 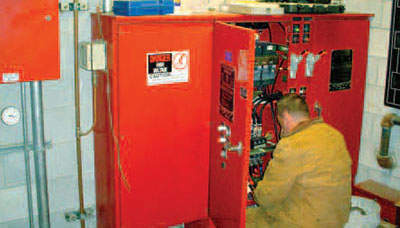 Oftentimes if there is a problem with a fire pump system, it is related to the UL/FM Automatic Fire Pump Controller. Our firm is trained and qualified to repair all types of panels, starters and controllers. We also sell new and replacement fire pump and jockey pump controllers. When your controller has a problem, most likely that means you do not have reliable fire protection. When you need someone to fix the problem per code and right away, our knowledgeable 24 hour service staff is here for you. 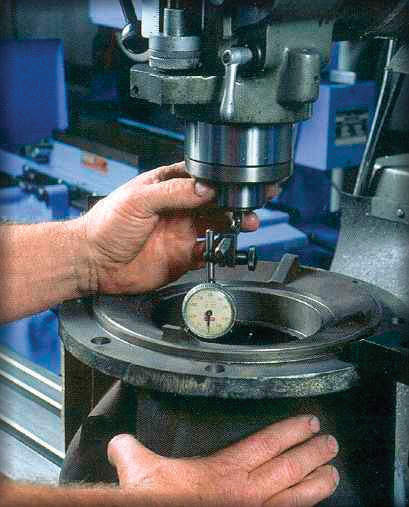 Our 20,000 square foot shop is state-of-the art, and offers everything you need for a quick turn around on your pump repairs. We understand that when your pump is down, so is your protection of life and property. Our around-the-clock facility enables us to get your pump back in service as quickly as possible.